Qwilr is better with collaboration. By bringing more members of your team onto Qwilr you'll be able to collaborate on Qwilr Pages and internally review them before sending them out to your clients. Note: You'll need to be an admin user on one of our paid plans to do this. 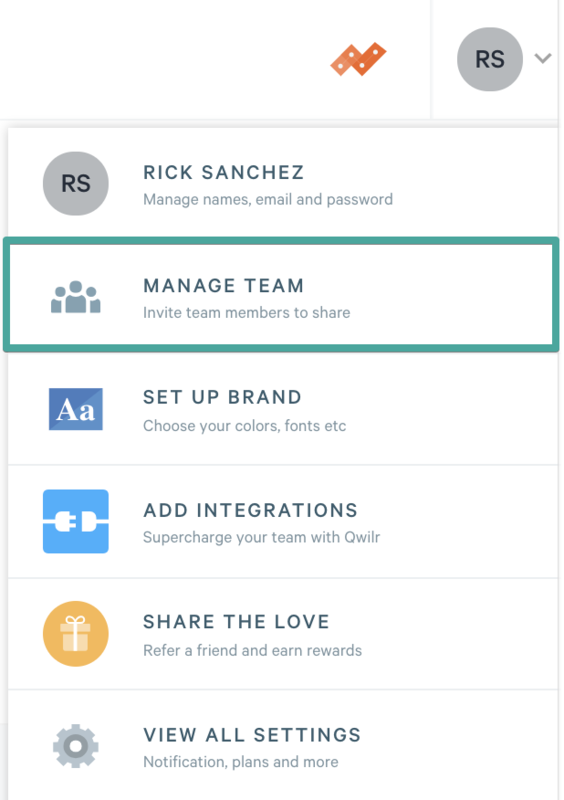 You'll be able to manage your account users by heading to Settings and then Manage Team. From there you'll add in the email address of the user you wish to invite and click on Invite. That new user will then be sent an invitation from Qwilr with a unique link to set up their account and create their password. Last is the option to give Admin or Creator permission levels. 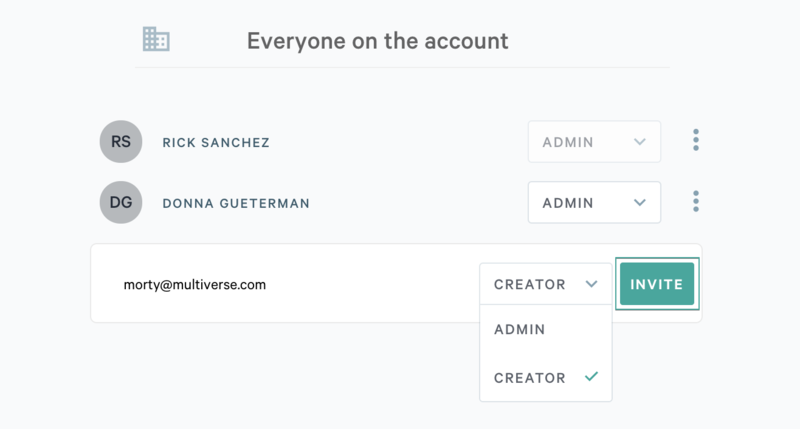 The Admin role can view and edit all docs on the account. Creators can create their own Qwilr Pages but need to be specifically shared projects with in order to view and edit others. If you've exceeded the number of users allowed in your account you'll be prompted to buy another seat, which you can do by clicking the Manage Extra Seats button. From there you'll choose the number of seats you wish to add to your subscription and confirm the cost.